21 keys, 5 rollers, 3 trill keys (F#/G#, C#/D#, E/F#), silver plated mechanism, well seasoned maple wood, hand waxed body (matly polished), ergonomical finger distances for young beginners and bassoonists with small hands, complete with bocal O.Adler & Co. Nr. 2, case, cover with carrying sling system, accessories. 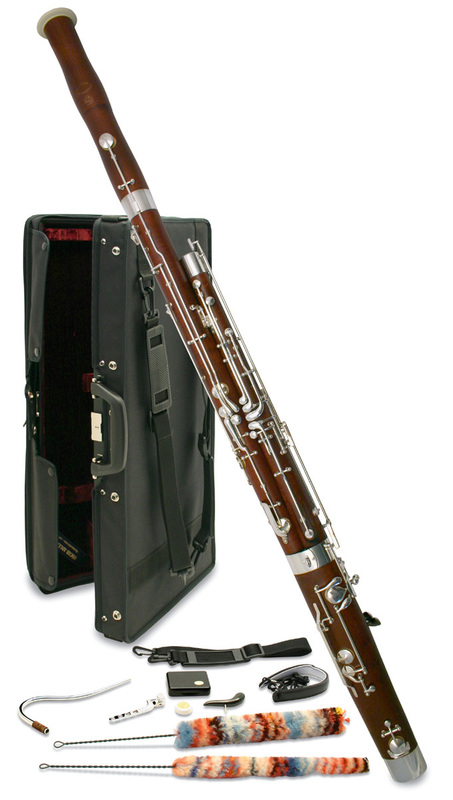 Made from aged Bosnian Maple Wood, all Adler Bassoons are produced in Germany to exacting standards. A specialist manufacturer of the highest quality.